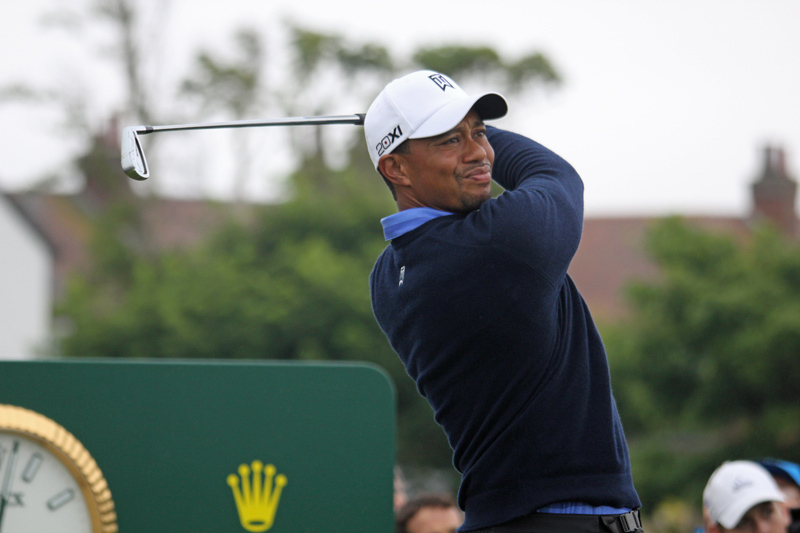 Tiger Woods holds the record for most times leading the PGA Tour money list, currently 10 seasons. Jack Nicklaus is next, he was the money list leader eight times. Spieth, in 2015, was the first-ever PGA Tour player to cross the $11 million and $12 million single-season earnings thresholds. Seven times Tiger Woods was the PGA Tour money leader in the 2000-oughts, and the other three times it was Vijay Singh. Singh became the first to pass the $10 million single-season earnings level in 2004. Tiger Woods' first time leading the PGA Tour money list was 1997. His second time, 1999, was the first time any golfer cracked $5 million in single-season earnings — and Woods earned far more than that. Tom Watson won his fifth and final PGA Tour money list title in 1984. In 1980, Watson led the way and was the first PGA Tour golfer to pass $500,000 in single-season earnings. The $1 million barrier fell to Curtis Strange in 1988. After Lee Trevino opened the decade on top, eight of the next nine years of the 1970s saw the money list led by either Jack Nicklaus or Tom Watson. Arnold Palmer, Jack Nicklaus and Gary Player — the "Big 3" — all had money list wins in the 1960s. Palmer was the first to lead the money list with more than $100,000 in 1963, and Billy Casper first cracked the $200,000 level in 1968. Arnold Palmer made his presence felt in 1958, with the first of his four total PGA Tour money list wins. The decade began with three straight years of Ben Hogan leading the money list. Hogan won again later in the decade, and Byron Nelson and Sam Snead also had wins.